17 in. Long x 16 in. 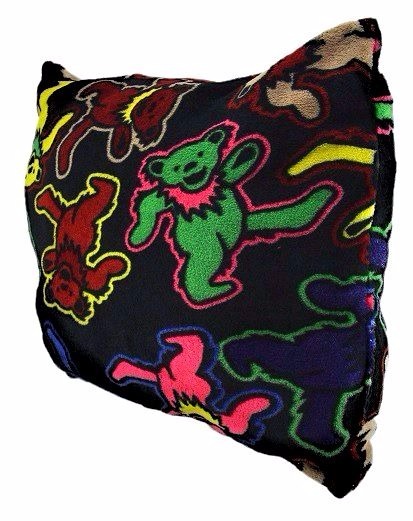 Wide Made of 100% Polyester Coral Fleece That's Super-Soft and Ultra-Comfy, covered with Grateful Dead dancing bears. 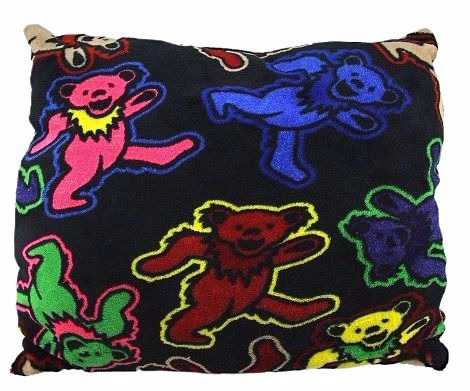 Officially licensed Grateful Dead merchandise.